I saw this rib pattern in the Passap Club patterns Number 11. It is a beautiful rib. 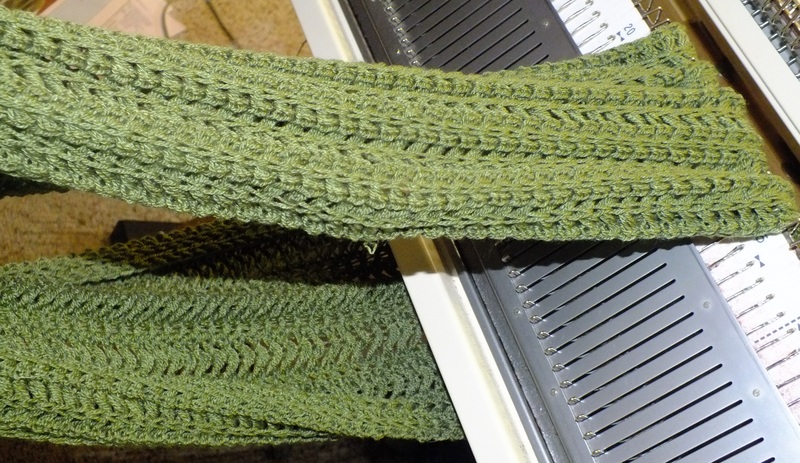 It is made with the needles in a 2by2 rib using AX/N with both arrow keys pushed in: automatic pattern. I used a yarn I had by Bramwell called Hot Pink duo spun. It is a nice light weight acrylic. I decided to make a cowl scarf . I made it 48 inches and it is perfect. I wanted it around the neck for warmth. This is a gift for someone. I will explain the pusher set up and my tensions in the pattern information. This will make a great quick Christmas gift that will not take you longer than an hour to make. 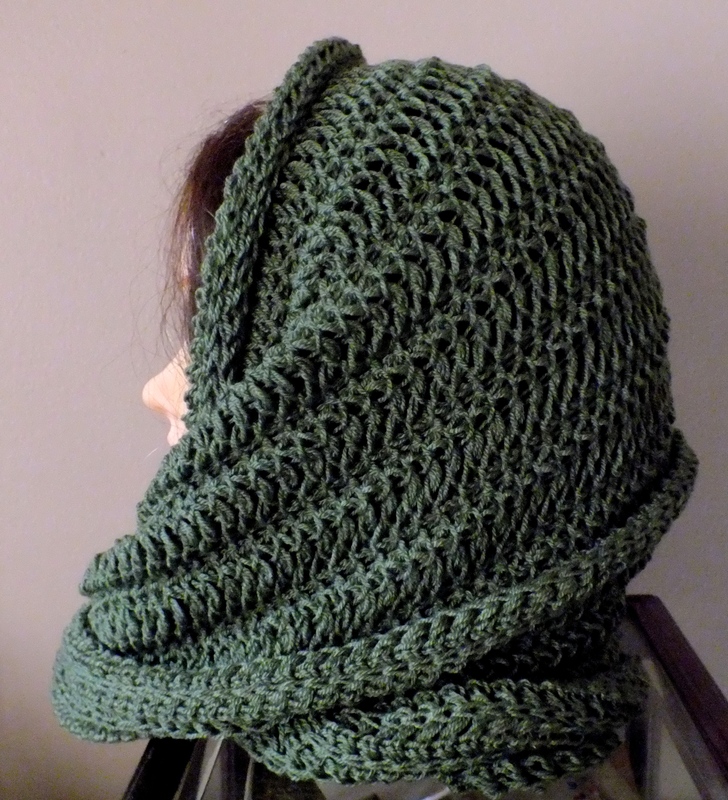 Tuck Stitch Cowl-Have a Laugh on Me! How did I remove it you ask? I am not THAT stupid to take it out and rehang. 🙂 I removed the ribber attachment on one side and took the clamp off and was able to slide it off. You thought you had me on that one I bet. 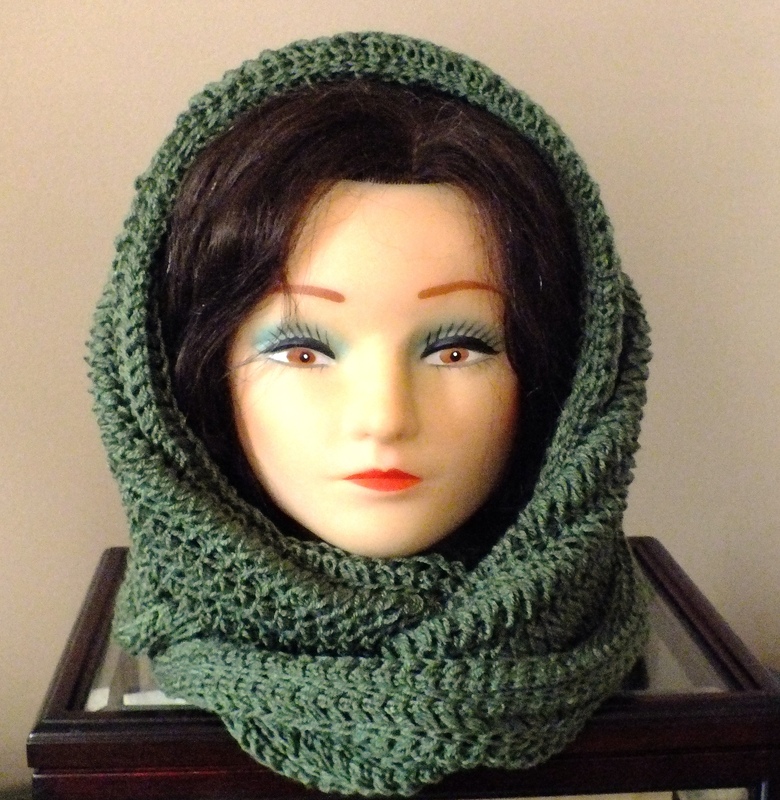 What I wanted to show you though was that I made one of these for myself and it was snowing and I pulled the scarf over my head and I like the look. What I did was fold the scarf in half, put it around my neck, twisted to form a figure 8 and pulled that part open and put over my head. You can see what it looks like from the side. The color is a seafoam green. It looks lime hanging on the machine but that is because I just took a quick picture while I was laughing. The funny thing is, in all the over 30 years of knitting, I have never done this. You can stop laughing now. I need to go lay down because my rib is hurting from my laughing.